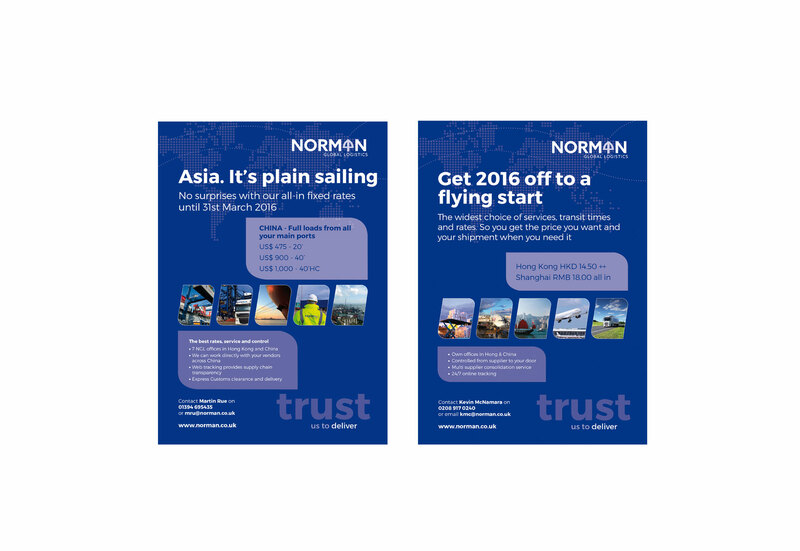 Norman offer global air, sea and road freight solutions and wanted to get raise their profile and attract new business. Working alongside marketing company Actualis, we started with a re-brand of the Norman logo retaining the helmet graphic from the existing logo but updating to a more modern feel. 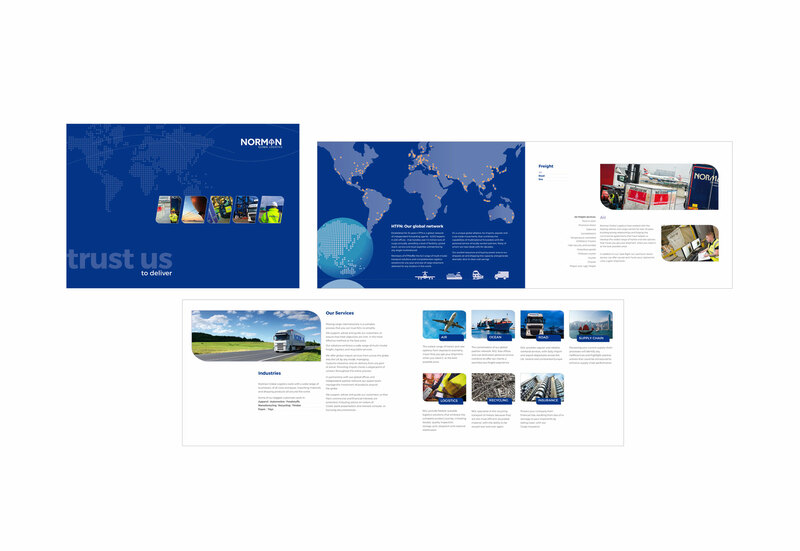 Followed by a corporate brochure and flyers, postcards and case studies all designed within the new identity. Website design and email marketing. Currently we are working on a welcome pack for new customers. 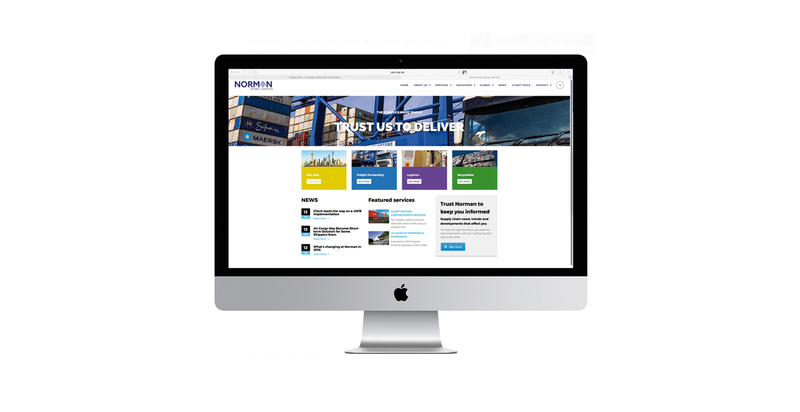 Corporate video below, using existing assets and minimal library footage this promo was produced swiftly and at low cost, to provide an engaging introduction to Norman Global Logistics for use on their website and social media. Working together with Actualis Marketing and videographer Simon Keats we turned this around in double-quick time.